I’ve got a nagging sweet tooth. It’s really my biggest obstacle for staying lean and fit. However, I’ve found some great tricks over the years to help satisfy my cravings without un-buttoning my pants. Honestly, the more I stay away from sugar, the less I crave it. I’ve done a really good job over the last 5-6 months keeping my indulgences to a minimum. I just feel better when I don’t eat it, so I’d rather feel good and avoid the headaches that follow that dreaded insulin dump. 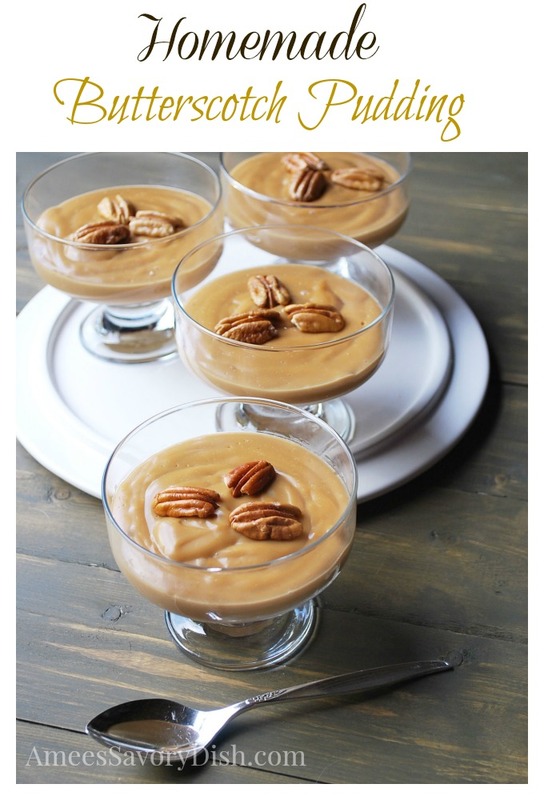 I believe in treating myself when I really want something, so recipes like this gluten-free homemade butterscotch pudding are great for satisfying my cravings. It eliminates the binging urges when avoidance turns to madness…..we’ve all been there, telling yourself you can’t have that chocolate torte makes you want to bury your face in it. Not good. When I really want a good dessert, I go for homemade. I’m not blowing those extra calories on a store-bought treat, loaded with things I can’t pronounce and unhealthy sweeteners like, high fructose corn syrup. There is a great coffee house near where I live and the owner makes the best desserts from scratch. Her Chocolate Coconut Flour GF Cake is a slice of heaven! If I don’t want a whole cake sitting around, my husband and I will pick up a single serving dessert. When I do bake or make something sweet, I love to use coconut sugar for a tasty low-glycemic sweetener. It smells and tastes like a combination of molasses and brown sugar. It works well in so many recipes. I’ve been using it for several years now to replace sugar in many of my recipes. 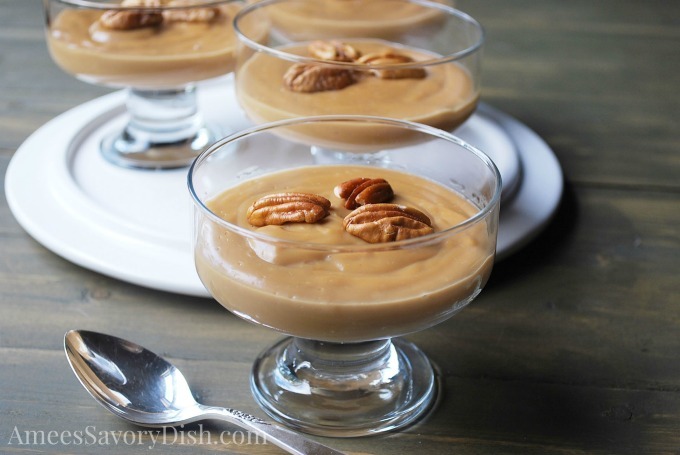 This Gluten-Free Homemade Butterscotch Pudding is made with coconut sugar and low-fat milk for a delicious healthier dessert. Combine coconut sugar, cornstarch and salt in a medium saucepan over medium heat. Add milk and egg yolks, a little at a time, whisking until smooth. Bring mixture to a boil and cook 2-3 minutes or until mixture is thickened, stirring constantly. Remove pan from heat and stir in butter and vanilla. Pour into 5 ramekins or small bowls. Cover each pudding with plastic wrap sprayed with cooking spray and cool for 15 minutes. Chill at least 4 hours and top with nuts or brickle bits.